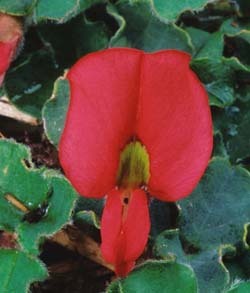 Kennedia prostrata (Running Postman) is a widespread, common and spectacular native plant found in dry vegetation. 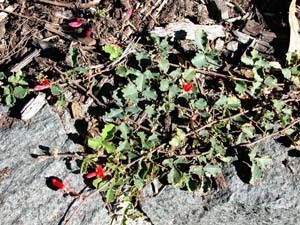 It is a prostrate herb with trifoliate leaves. 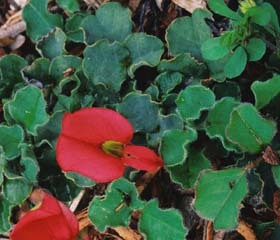 Without flowers it is sometimes obscured by other plants, but the flowers are red with yellow/green centres and showy and quite large (2-3cm long).